“Life is too short for self-hatred and celery sticks.” – Marilyn Wann. 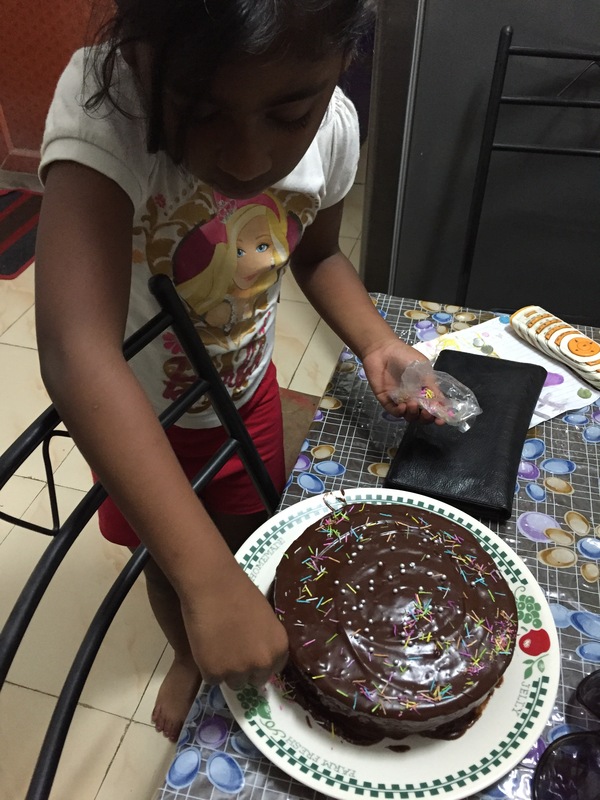 My dear daughter was craving chocolate cake this evening! She wanted the cake real fast and it needed to be yummy as well. 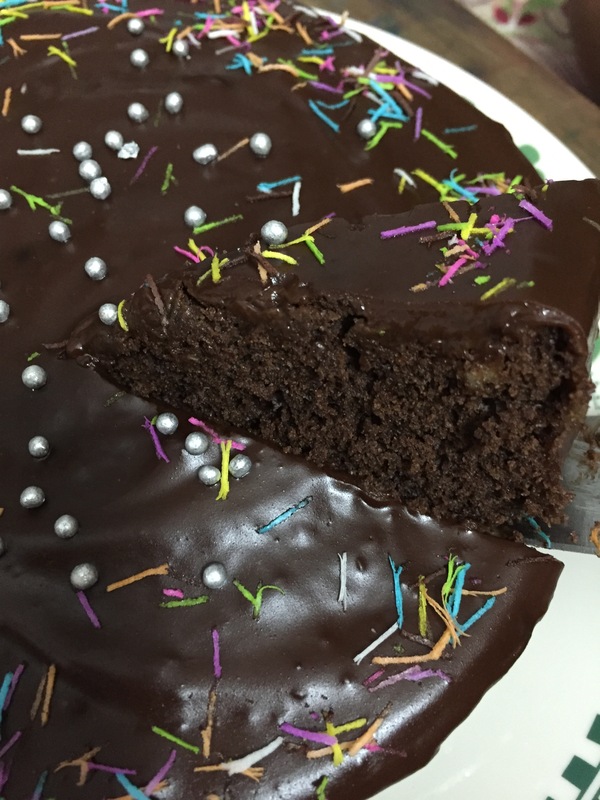 So the supermom in me got together to cook up a real quick yummy chocolaty cake!! Mix all the dry ingredients mentioned above thoroughly, add the oil and milk and beat well. Grease a microwave safe dish and pour in the batter and bake for 5 minutes on microwave mode. 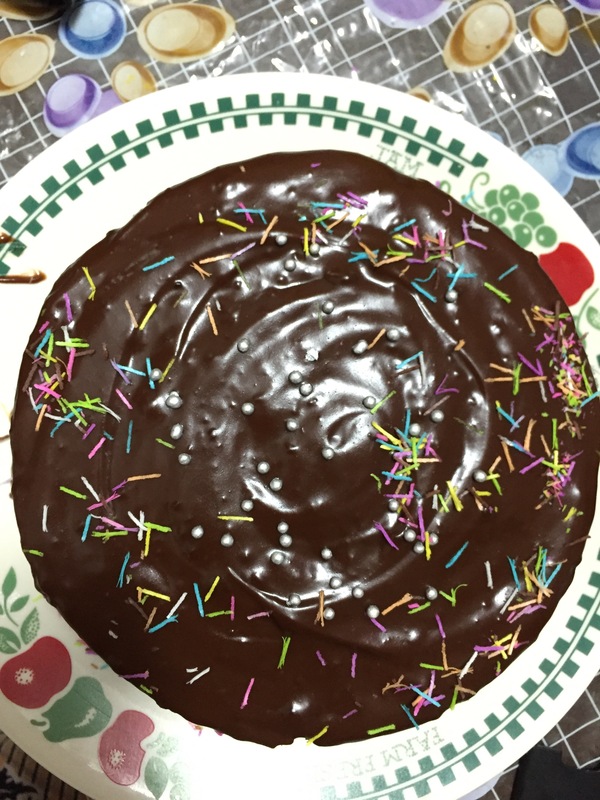 Mix all the ingredients with water for ganache and cook on the gas stove till the mixture gets a thick sauce like consistency. 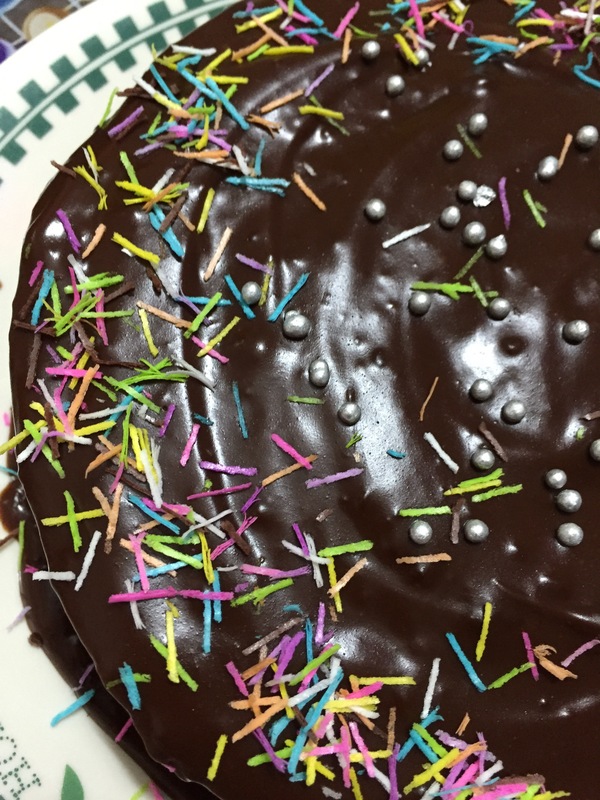 Once the cake cools down pour the ganache, decorate with sprinkles and any other goodies of your choice.